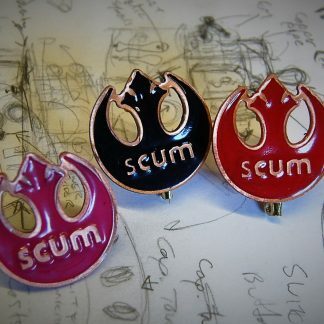 Rebel Scum Pin – Circle – Monkey Dream. Monkey Do. 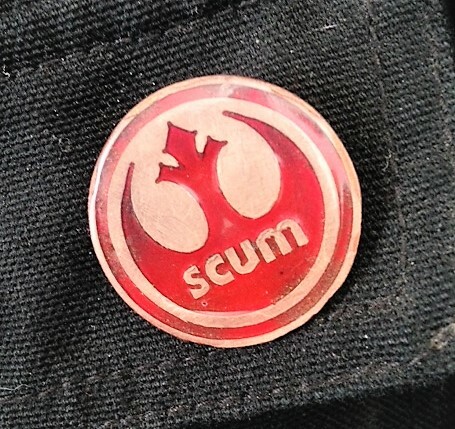 Show the Empire and all their minions your true colours by wearing this pin on your flight suit or Jedi robes. 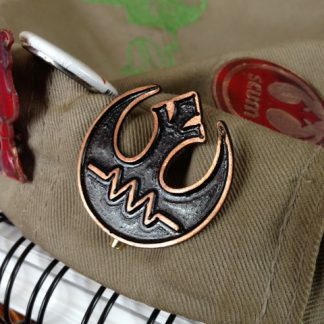 Made from double-sided copper clad circuit board, even BB-8 will approve of this accessory. Designed and cut in my workshop with my very own robot and hand finished. 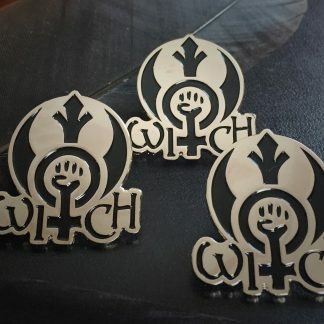 Available in Black, Red, Pink and Green. Please select color in comments when you purchase. Want another color…just ask!